YACHT was born in 2002 in Portland, Oregon, as a solo cross-disciplinary experiment for Jona Bechtolt, using technology to extend physical bo2undaries of communication, performance, and music. In 2008, after a shared mystical experience in the Far West Texas desert, Bechtolt was joined in the YACHT endeavor by longtime collaborator Claire L. Evans. 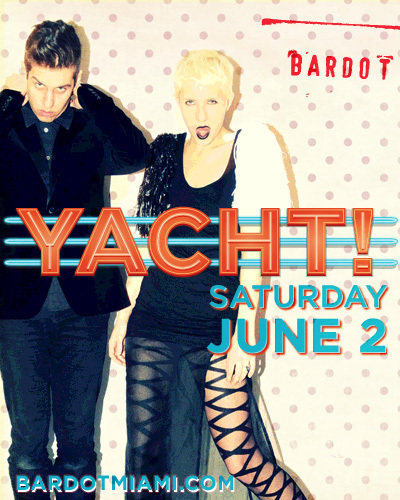 Spurred by this paranormal bond, this new incarnation of YACHT wrote and recorded “See Mystery Lights” in Marfa, Texas.